Mr. Pramod Sant, Vice-President - Head of Export/Imports and Export Control and Customs, Siemens Ltd. 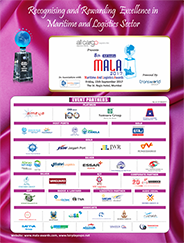 It was excellent show and proves again that MALA is topmost awards of Shipping & Logistics Industry. Many thanks for the wonderful and very professional way of conducting the entire programme. I would like to congratulate you and your team for this event and hope to see many more such event in the year s to come. Mr. George Abrao, Managing Director, Omega Shipping Agencies Pvt. Ltd. I would like to take this opportunity to congratulate you on putting up really grand event. Your personal and your support teams’ efforts have all shown the desired results in the way the event was organised. Mr. Vivek Choudhary, Director, Vivek Freight & Logistics Pvt. Ltd. 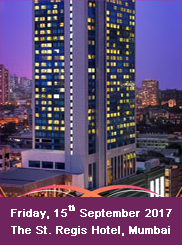 Event was very well organised and it was the best platform for socialising.